In early December 1992, elements from the 4th Psychological Operations Group (Airborne) deployed to Somalia as part of the US led Unified Task Force (UNITAF) Somalia to provide PSYOP support to Operation RESTORE HOPE. To ensure that the application of psychological operations would be consistent and that PSYOP assets could be responsive to a broad spectrum of operational requirements, a Joint PSYOP Task Force (JPOTF) was formed and placed under the operational control of the UNITAF Commander. Elements of the 8th Psychological Operations Battalion (Airborne), the regionally oriented battalion which served as the command and control element and ran the PSYOP product Develop Center (PDC), and the PSYOP Dissemination Battalion, which provided the expertise and equipment to operate the printing presses and the radio station, formed the nucleus of the JPOTF, while two Brigade PSYOP Support Elements (BPSEs) and eight tactical loudspeaker teams from the 9th Psychological Operations Battalion were attached to support the Marine 7th Regimental Combat Support Team from Twenty-nine Palms, California and Army forces from Fort Drum, New York. The JPOTF's mission provided for analysis of PSYOP-relevant intelligence, and production of all printed products (leaflets, handbills, posters) including the Somali language newspaper RAJO (HOPE), and broadcasts of Radio RAJO via AM, FM and Shortwave programming. PSYOP staff planners were dispatched to US Central Command (USCENTCOM) MacDill AFB, Florida; Camp Pendleton, California; and Fort Drum, New York to integrate PSYOP into JTF and component plans. After receiving the deployment and execute orders, the JPOTF operations sergeant and two loudspeaker teams deployed from Fort Bragg, NC to Mombassa, Kenya where they joined the 15th Marine Expeditionary Unit aboard the USS Tripoli. On December 9th, 1992 the PSYOP force accompanied the initial Marine landing at Mogadishu. The JPOTF advanced party arrived two days later to begin coordinating PSYOP support for UNITAF operations. By December 20th, only 4 days after the arrival of the main PSYOP contingent, the JPOTF began publishing the RAJO daily newspaper and broadcasting a daily radio program also called RAJO (HOPE). Augmenting the JPOTF were a US Navy sailor who spoke Somali and over a dozen Somali civilian linguists from the US who served on loudspeaker teams and in the PDC. The JPOTF also hired thirty local Somalis, who by the end of Operation Restore Hope, were trained and ready to form the nucleus of the PSYOP newspaper and radio broadcast functions for the United nations Operation in Somalia (UNOSOM) II. Throughout the course of Operation Restore Hope, thirty seven different leaflets and over a dozen different handbills and posters were designed, printed and disseminated. Over seven million leaflets were dropped over central and southern Somalia. On D-Day, December 9th, 1992, PSYOP teams dropped the first leaflets over Mogadishu from a US Marine CH-53 Sea Stallion helicopter. Over the course of the operation various kinds of aircraft were used. In the early weeks, US Air Force C-130 Hercules fixed-wing aircraft dropped leaflets over Mogadishu and each of the major towns in the eight Humanitarian Relief Sectors. Later in the operation this capability was augmented by Marine CH-53 Sea Stallion and US Army UH-60 Blackhawk and UH-1 Huey helicopters and by Canadian C-130 fixed-wing aircraft. During one operation PSYOP teams utilized US Navy S-3 Viking fixed wing aircraft to jettison 60 tubes, each carrying 2500 leaflets over the target area. With the gradual redeployment of US C-130s, leaflet missions were conducted from New Zealand Andover fixed wing aircraft, a smaller version of the DC-3. 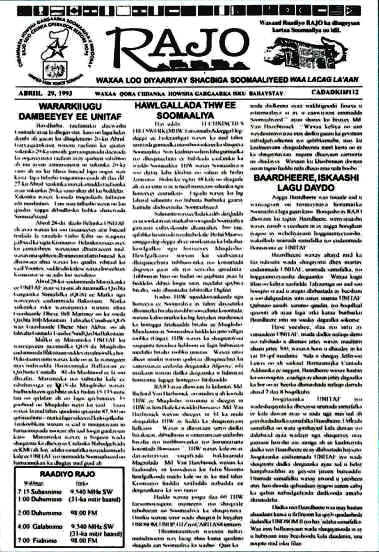 One hundred and sixteen different editions of the UNITAF newspaper RAJO (which means Hope in Somali) were published. As many as 25,000 copies were printed and distributed daily to every town and village where UNITAF forces were deployed. One of the most popular features of the newspaper was the comic strip devoted to the comments and observations of a Somali man named "Celmi" (after the US Navy Sailor born in Somalia who served as a linguist for the JPOTF) and his wise friend, the camel Mandeeq. 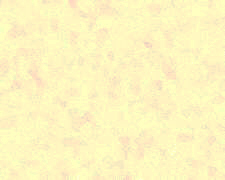 The dialogue between these two characters reinforced various PSYOP themes and described specific aspects on the UNITAF mission. Explain that the UNITAF rules of engagement are applied fairly regardless of faction or position. Highlight that UNITAF does not support or favor any faction. Reinforce that Somalia's problems can only be resolved by Somalis, that UNITAF and relief agencies can only assist the process. Highlight the roles and capabilities of the 22 nations participating in UNITAF, particularly those from Africa and the Islamic world. Highlight the seamless transition from UNITAF to United Nations Operations in Somalia, emphasizing that there will be no change in the rules of engagement or troop performance. Encourage displaced persons to return to their homes to harvest crops and plant fields. Highlight the redevelopment and re-establishment of Somalia's infrastructure. Highlight the agreements made by faction leaders and the consequences for violating those agreements. Focus on the disarmament, keeping everyone appraised of the progress in each Humanitarian Relief Sector. From the initial landing on the beach at Mogadishu to the transition to UNOSOM II, the eight loudspeaker teams participating in Operation Restore Hope faced many different challenges. 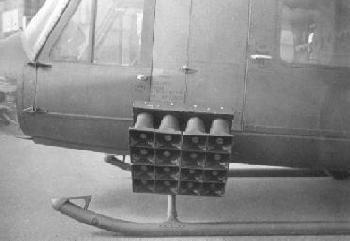 The loudspeaker teams broadcasted numerous messages, including surrender appeals, instructions during weapons sweeps and at roadblocks and announcements to organize crowds at feeding sites. Loudspeaker teams also distributed the UNITAF newspaper RAJO in many of the major towns and villages in each humanitarian relief sector. US Marine maneuver commanders integrated loudspeaker teams into their security operations in Mogadishu targeting local arms markets. 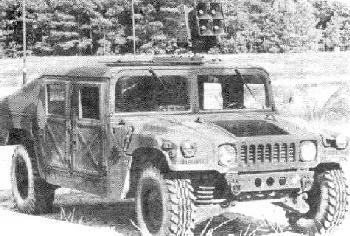 In mid-January 1993, for example, A Marine operation directed against an area of the city known as the Argentine arms market used loudspeaker teams to inform local residents of the operation and to request their support and non-interference. Using loudspeakers mounted on helicopters and on vehicles, the teams thanked crowds as Marines cleared the area of weapons. The heliborne PSYOP personnel also disseminated leaflets informing the people of Mogadishu that the objective of the operation was to improve security in the city. It was earlier noted that children liked to chase the leaflets, which also provided a simple and effective way to draw them out of the way of the potentially dangerous areas being searched. by convincing Somali gunmen to surrender rather than fight"
As a compliment to the RAJO newspaper, the JPOTF established a radio station on the US Embassy compound. Radio RAJO conducted a 45-minute Somali language broadcast twice daily on AM/Midwave FM, and shortwave. The program included a reading from the Qur'an, a reading of the RAJO newspaper articles, selections of Somali poetry and short stories, news about Africa, significant events throughout the world, and Somali music. After extensive antenna adjustments, the radio programs broadcasted over shortwave eventually reached every city and town in Somalia where UNITAF forces were deployed. Guided by a broadcast journalist from the 4th PSYOP Group's PSYOP Dissemination Battalion (PDB), Somali staff members, PSYOP specialists and civilian analysts worked together to develop articles. For example, to encourage Somali clans to put aside their differences and rebuild their country, JPOTF staff members traveled to Marka where they interviewed President Abdullah Usmaan, Somalia's first head of state and an important symbol of national unity. Excerpts from his interview were broadcasted over the radio as well as published in the RAJO newspaper.